Stream anime episodes online for free, Watch One piece Episode 129 English version online and free episodes. 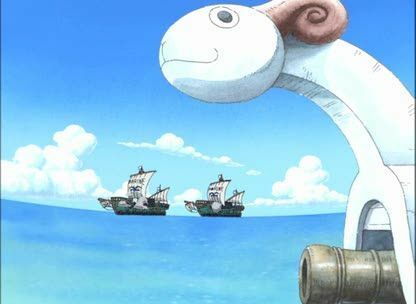 Anime Episode guide One piece Episode 129 English dubbed It All Started on that Day! Vivi Tells the Story of her Adventure! Bon Clay and his crew attempt to protect the Straw Hats from Hina, and sacrifice themselves to serve as a diversion. Vivi has Igaram stand in for her at her speech, and tells the Straw Hats that she cannot travel with them, but she hopes she will still be seen as their friend if they meet again. Unable to acknowledge her vocally without her being branded a criminal, the crew shows the marks on their arms as a sign of their friendship.